Hmmm. This is a mighty touchy subject. Everyone knows about them, everyone hears about them, and we live in a society of sports where they are rampant, and many people take them. In 2002, the Nevada State Athletic Commission began testing MMA fighters for performance-enhancing drugs. Athletics has always been man’s attempt to outperform man. We have practiced competition since the BC era, and our desire to leap higher, run faster or become stronger is only surpassed by our desires and dreams to possess superhuman abilities we admire when viewing fictional movies or super hero comics. Steroids and drugs are a subject matter that I personally have seen very little overall coverage on. Sure, we have some big news like Olympians or the baseball issue with congress, but are there in fact any types of scrutiny or microscoping on steroids, drugs and athletes? How does this even have a cause and effect regarding martial artists? Let’s start this sad story with our own pro martial arts athletes, namely fighters in MMA. Repeat offender: Barnett actually tested positive once before, for two different anabolic steroids, following his submission via strikes victory over Bobby Hoffman at UFC 34 in November 2001. Josh was let off with a warning (which went unheeded, apparently) and the incident was never officially reported — but according to Sherdog’s Mike Sloan, Barnett’s first positive steroid test is what inspired Nevada to begin regularly testing UFC fighters for performance enhancing drugs. In his own words: “I was desperate. My right elbow had been bad for a while, and I hurt it bad getting ready for Rashad [Evans on June 28]. Right after that fight, I thought I’d have some time off to do some therapy, rehab and heal. And five days later, I get a call to fight Forrest in a month and a half. I was worried. I was looking for something to speed up the healing. I just was worried I was not going to be able to fight, and they needed me. This wasn’t an undercard fight; it was the main event. Pulling out was not an option. Punishment: $2,500 fine and a one-year suspension from the CSAC. Gracie hasn’t competed since. Caught: 3/11/09, following his submission win over super-heavyweight tubbaguts Ross Clifton at WarGods: Valentine’s Eve Massacre. In his manager’s words: “Ken was taking legal over-the-counter products, and based upon our preliminary research, I’m investigating if those products were the result of these findings,” said Rod Donohoo. Tested positive for: Originally dubbed a “natural steroid,” Sonnen was flagged by the California State Athletic Commission after his T/E (testosterone/epitestosterone) ratio came in at over four times the legal threshold. In his own words: “I was found not guilty on the substance issue. You used the term ‘steroids’ which is a pretty big catchword. It’s really not fair. With that said, testosterone falls under the category of steroids. But that’s like saying that mouthwash falls in the category of alcohol. Or cough syrup is alcohol. It’s not exactly the same thing and it’s not what we’re talking about. One is a medicine versus an illegal substance. I was never accused or suspected of [using] an illegal substance. That was an online rumor that was started and perpetuated and I never did anything to step in to stop it, but I was accused of taking testosterone without the proper disclosure. UFC fighter Cheick Kongo stated that he believes 50% or more of fighters are on steroids. Reflecting upon the above athletes, whatever happened to accounting for your actions? We have a community that we influence. For instance, I have an academy and 10 association schools in Texas that I develop curriculum, course outline, lineage, philosophy and development for their potential in Jiu-jitsu that affects their personal life. I teach techniques that are designed from what I learned from my instructors The Machado brothers, and tweak, update and develop newer ideas. I have talented students that have done well in competition but more importantly as a martial artist. I do weight training and physical development outside of Jiu-jitsu. I research nutrition and have since I was 13 years of age, and if there are medical journals that discuss nutrition or how it can have value to a person I enjoy posting that information. Since the beginning of time sports and competition have been a foundation in all societies. From the Roman gladiators to the modern day sports heroes one thing is constant. Children and adults alike look up to these men and woman. With the epidemic of steroids, human growth hormone, and performance enhancing drugs in sports the last 25 years what example are we setting. Some of the most prolific football, baseball, and Olympians of our time have cheated. They took their checks, fame, metals, and rings, but what about being a good role model for the next generation. This list consists of some of the most prolific sports figures that have used or been accused of using performance enhancing drugs and will always suffer the consequences from it, at least in my eyes. Note that a few of the athletes on this list have denied steroid use and have not been confirmed users. On September 27 three days after winning the 1988 Olympic Gold he tested positive for the anabolic steroid stanozolol and was ripped of his gold medal and 1987 World Championship title. Canada was horrified and Johnson was never the same again. The rest of his career was riddled with injuries, which is the case for a lot of steroid users who become more injury prone later in their careers. Bonds became part of a steroid scandal when Greg Anderson of BALCO was indicted by the federal grand jury and charged with supplying anabolic steroids to athletes. The federal government on perjury and obstruction of justice charges on November 15, 2007 indicted Barry Bonds. He is currently a free agent and has complained that no team will pick him up even for the league minimum salary. On February 9, 2009 Alex Rodriguez admitted to using banned anabolic steroids and performance enhancing drugs during the 2001-2003 seasons. Major league baseball didn’t have a steroid policy in place until the 2004 season, so Alex is not subject to punishment from the league. He tested positive during a 2003 league survey test in which 104 major league players tested positive for steroids. Alex Rodriguez is by far the highest paid player in baseball. In December 2007 Rodriguez and the Yankees agreed to a 10 year 275 Million dollar contract. He also gets a bonus of $30 million if he breaks the all time home run record of 762. Marion Jones is a United States track star that has won numerous medals in international competition. She won 5 medals at the 2000 Olympic Games excelling at the 100m, 200m, and high jump. After much speculation and controversy in October 2007 Jones admitted that she used anabolic steroids and other performance enhancing drugs before the 2000 Olympics. She was stripped of all of her medals since the year 2000, including all Olympic medals. Since high school Marion had been accused of doping directly and indirectly because of her size and ability. When she competed Marion Jones was huge and she towered over her competition. Jones admitted lying to friends, press, and 2 grand juries about using steroids. She was suspended from competition for 2 years and retired on October 5, 2007. She also was arrested and given a 6-month prison term, which she started serving March 7, 2008 and was released September 5, 2008. Marion Jones used to be one of the most decorated and admired American athletes. Now she is looked at as a cheat, someone who needed drugs to get that edge over her competition. On February 13, 2008 Roger Clemens appeared in front of the Congressional Committee along with McNamee and swore under oath that he never injected steroids into his body. McNamee proclaimed the exact opposite and one of the men was lying. In my opinion it is clear that Clemens has more to lose and has fabricated stories. He will get his day in court just like Barry Bonds and Marion Jones. Roger Clemens is one of the most recognizable sports figures in the world and his decisions influence children of all ages. What can we say or view of the potential results these athletes may have? Children admire athletes. Adults admire athletes. They become icons of admiration, and desire to imitate, aspire and even one day become. When they do steroids, it just washes all of these emotional attachments fans have with the athlete. In the 2000 Mundial, minutes before I was to fight one of the most difficult matches of my life, I had to assist in removing an athlete from the competition area. Unfortunately that athlete died inside the stadium due to an overdose of steroids. I want to make it very clear that in my opinion ANYONE THAT USES ANABOLIC STEROIDS TO BETTER THEIR PERFORMANCE IS CHEATING AND DO NOT GAIN ANY GLORY WITH THEIR CONQUESTS. This story really blows the lid off. This subject has been a sensitive one, yet we do not directly attack the problem—the drugs! Caio Terra: Basically, since last year, I have been complaining to the IBJJF, that they should do some kind of testing for steroids. Jiu jitsu is about technique. We should be able to compete without steroids. A lot of these guys never get injured, never get sick. Then I ask myself, “how? How do these guys not get hurt, how do these guys not get sick?” At least eight months of the year, I am hurt or sick, there is something going on with me. Even though it might be a little thing, but I’m hurt or sick. I know a lot of people, and they used to tell me that they would take steroids. It’s unbelievable that there is more than seventy five percent of the people, in the top black belts, the top black belt guys, seventy five percent of them do steroids. And I’m saying a low number, because I don’t want to say ninety nine, but it’s very close to a very high percentage number. It is very sad for our sport. We all know that the guys from UFC, the guys that do Strikeforce, a lot of them, most of them, do steroids so they can be able to train more, train and not get hurt. We know that, we know. But UFC is not a traditional martial art. UFC is just a fight. If you’re fighting MMA, sure, go ahead, there is no respect, everybody is calling out the other. In a federal court in Mobile, Ala. on Friday, U.S. Attorney Donna Dobbins revealed the names of several athletes whose orders of performance enhancing drugs included the signature of J. Michael Bennett. Bennett, who was supervising pharmacist at Applied Pharmacy Services, was sentenced to four years in prison. When we look at a sport that started in 1962 formally by Helio Gracie, where have we evolved? Where is direction for athletes? Let’s see. We don’t have athletes that do charitable works (not on a large scale publicly anyway), we need more public statements against drugs, period.We have children and adults that take part in our martial art and our sports.When I was a teen, I admired the Mr. Olympia bodybuilding world championship. As a child, I admired Lee Haney and Dorian Yates. Question sent to the IBJJF: Do the IBJJF and its member bodies like the USBJJF have any rules or regulations that prohibit performance enhancing drugs and / or steroids? If there are no such rules or regulations, do you think there will be anytime soon? Dwight Gooden (baseball player): Tested positive for cocaine in 1987 and entered rehab in order to avoid suspension by Major League Baseball. In 1994, he again tested postitive and was suspended for 60 days. Thomas “Hollywood” Henderson (football player): In his 1988 autobiography, admitted to snorting cocaine out of a nasal inhaler while playing in Super Bowl XIII in 1979. He was kicked off of the team two years later in part because of his drug habit. Martina Hingis (tennis player): In 2007, during the Wimbledon tennis tournament, tested positive for cocaine and was banned from tennis for two years. She retired shortly after the results were announced. Diego Maradona (soccer player): Was suspended from soccer for 15 months in 1991 for testing positive for cocaine. Michael Irvin (football player): Was arrested in 1996 for cocaine possession and sentenced to four years’ probation. The National Football League for five games suspended him. Darryl Strawberry (baseball player): In 1995, tested positive for cocaine and was suspended by Major League Baseball for 60 days. Arrested in 1999 for cocaine possession, sentenced to 18 months’ probation and received a 120-day suspension from baseball. Tested positive again for cocaine in 2000 and was suspended for a year. Lawrence Taylor (football player): Tested positive in 1988 and was suspended by the National Football League for 30 days. In his 2003 autobiography, admitted to being high on cocaine during games and borrowing teammates’ urine to fool drug tests. Mary Decker (track athlete): A 1996 urine test revealed a level of testosterone over the allowed maximum. Although she argued that Decker the test is unreliable for older women (she was 37) taking birth control pills, she was stripped of a silver medal she won at the 1997 World Indoor Championships. Justin Gatlin (track athlete): In 2006, tested positive for a steroid, believed to be testosterone, and received a four-year ban from track and field, avoiding a lifetime ban by cooperating with authorities. Jason Giambi (baseball player): In 2003, admitted to a federal grand jury that he took testosterone, HGH and other steroids from 2001 to 2003. He was not disciplined. Floyd Landis (cyclist): After winning the Tour de France in 2006, his urine test came back with an unusually high level of testosterone. After providing a number of excuses and defenses, Landis was stripped of his title and banned from cycling for two years. Chris Benoit (professional wrestler): In June 2007, killed his wife and son before hanging himself. Although there was no substantial evidence to tie the wrester’s drug usage to the murders, it was later revealed that he’d received shipments of nondrolone and the drug anastrozole (used to counter side effects of steroid use) through a ring of disreputable health care professionals. Back in 2003, The Miami Herald reported that Marcus ‘Conan’ Silveira (former Extreme Fighting Heavyweight champion, and BJJ black belt under the American Top team camp) and fourteen others were arrested Friday by federal agents, who said that they “were members of a smuggling ring that imported one million pills of the party drug Ecstasy into Miami from Spain between Nov. 2000 and July 2001. Silveira was sentenced to 3 years in prison. It turned out the DEA was already investigating him for a couple of years before they had enough evidence to arrest him, including videotaping the sale of ecstasy. Today, Silveira runs one of the most succesful camps in MMA, American Top Team in Florida. He can be seen all the time cornering fighters like Thiago Alves and Thiago Silva. 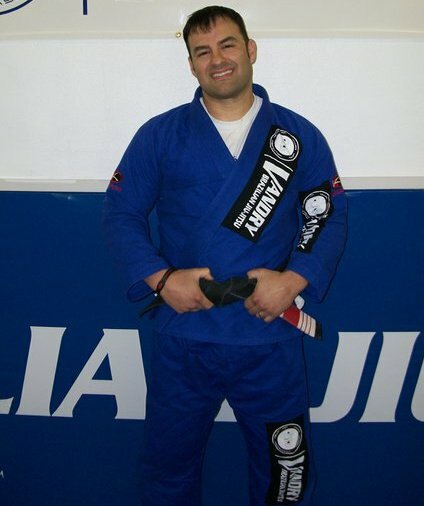 Conan was a BJJ black belt that helped with MMA promotions in the late 90’s. He has been coaching fighters, and seems to be on the right track. I hope so, I wish him luck, and and hope he can somehow turn this into a positive thing, perhaps even to aid younger, more impressionable fighters on errors he made. Athletes in sports have a duty. When I read the autobiography of Muhammad Ali when I was a teen, I remember reading of his first influence, which was a police officer when some kids stole his bike. That officer averted his anger at revenge against other kids, and steered Ali in to boxing. Athletes are under constant pressure to perform. Plain and simple. Sports in general needs a change. But we as members of the BJJ and MMA community need to really look at the view on things like this. Many athletes obviously take steroids or even other drugs. That itself is an issue. Yet the callus and lack of any responsibility for the cause and effect on their community is what they need to work on.